With our innovative vibratory sifter equipment, we diligently work to protect your ingredients from unwanted contaminants and ensure particle sizes align with the spec you desire. Sifting capabilities are crucial in food manufacturing, as it’s often the only way to ensure products are free from contaminants. Quality sifting screens and other equipment are needed to keep facilities clean, and the employees safe. At PacMoore, we operate filters and vibrating screen equipment designed specifically for safe and efficient operation. Our staff and equipment work hard to clean, sort and sanitize your product while also protecting workers from potential air pollutants. 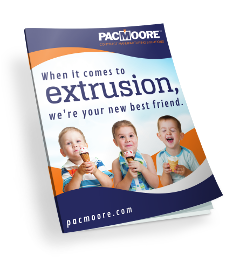 At PacMoore, we rely on a team of seasoned food production experts and some of the best equipment in the industry. Our Sweco equipment is a round screening device that vibrates around its center of mass. Rotation of a weight at the top of the motion generator shaft creates vibration in the horizontal plane, causing material to move across the screen to the edges. A weight at the bottom tilts the machine, causing vibration in the vertical plane. Oversized particles and foreign material are screened out and directed to an “overs” area. 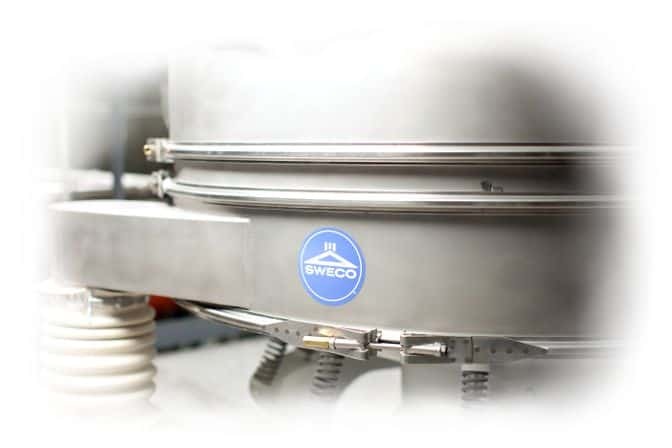 If your goal is to separate more than one particle size, we can stack Sweco sifters in a double deck format. Our Kason equipment is a centrifugal sifter that directs material by a feed screw into the cylindrical sifting chamber. Rotating paddles in the chamber propel the material against the screen without actually touching it, while the resultant centrifugal force accelerates the particles through the apertures. The paddles also break up soft agglomerates. Oversized particles and foreign material are ejected through a discharge spout. Because Kason sifters push product through the system, they are advantageous for use with products that have added oils, fats or liquids. Screening is just one of the many precautions we take to ensure your food safety. Our facilities are always audit-ready, which is why we invite you to drop in unannounced to see for yourself why we achieved AA+ ratings from the BRC. To learn more about our industrial screening services, contact PacMoore today. Do you have additional questions for our Sifting Department?